(Newser) – "Children keep me young," Berlin woman Annegret Raunigk said after the birth of her 13th child nine years ago at age 55. Now 65, Raunigk plans to add four more bundles of joy to her already large family. Raunigk underwent numerous attempts at artificial insemination over 18 months using donor eggs and sperm after her youngest daughter, Leila, asked for a baby brother or sister. While a pregnancy was planned, Raunigk says it was "a shock for me" when doctors found she was carrying quadruplets: "On the scan it was just clear to see." She's reportedly more than halfway through her pregnancy and the babies are due this summer, People reports, via German newspaper Bild. 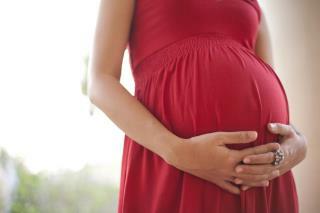 If all goes as planned, Raunigk, a schoolteacher, will become the world's oldest mother of quadruplets, reports AFP. Is this a right wing site. From all the jokes about this womens choice, to the responses that Its OK to attack that choice as she had them. The choice not to is called an abortion. An abortion is no ones business but the person involved. Most people commenting would say so. Find it very Hypocritical to say the least. Ugly at the most. Is it because she is old? Just what we need, four more human bodies on the planet. Disgusting.